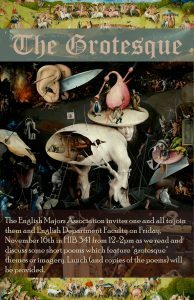 Come join EMA’s Fall quarter faculty event on Wednesday, December 5th at 3 PM. The event will be hosted in the Humanities Gateway, Room 1002. This is a great opportunity to find out what research in the Humanities look like. Hello everyone! 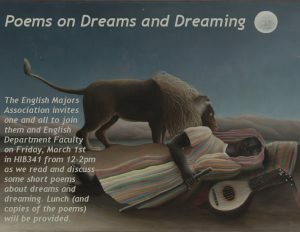 EMA and English faculty will be hosting our quarterly poetry event. Our fall theme is “the grotesque” and will be taking place this Friday, 11/16. 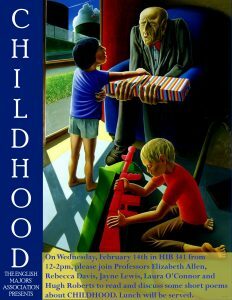 We will be meeting in HIB 341 from 12-2PM. Free lunch will provided. 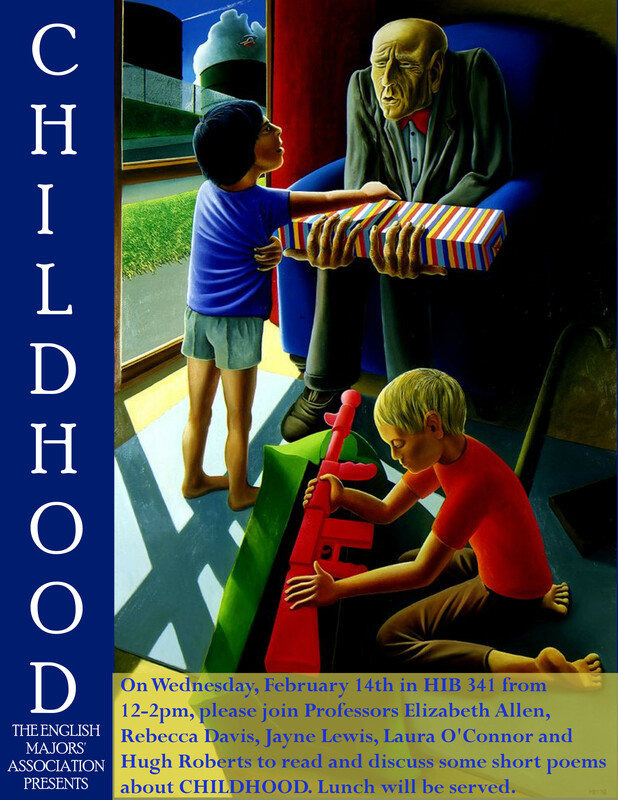 On Wednesday, 2/14 at HIB 341 from 12-2 PM, students are invited to join Professors Elizabeth Allen, Rebecca Davis, Jayne Lewis, Laura O’Connor and Hugh Roberts to read and discuss short poems on the subject of “childhood.” You can download the poems here; however, reading them beforehand is not required to come and participate! Light lunch will be provided. 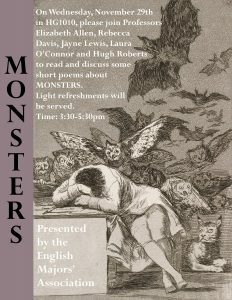 Students are invited to join Professors Elizabeth Allen, Rebecca Davis, Jayne Lewis, Laura O’Connor and Hugh Roberts to read and discuss short poems on the subject of “monsters.” You can download the poems at this link ; however, reading them beforehand is not required to come and participate! 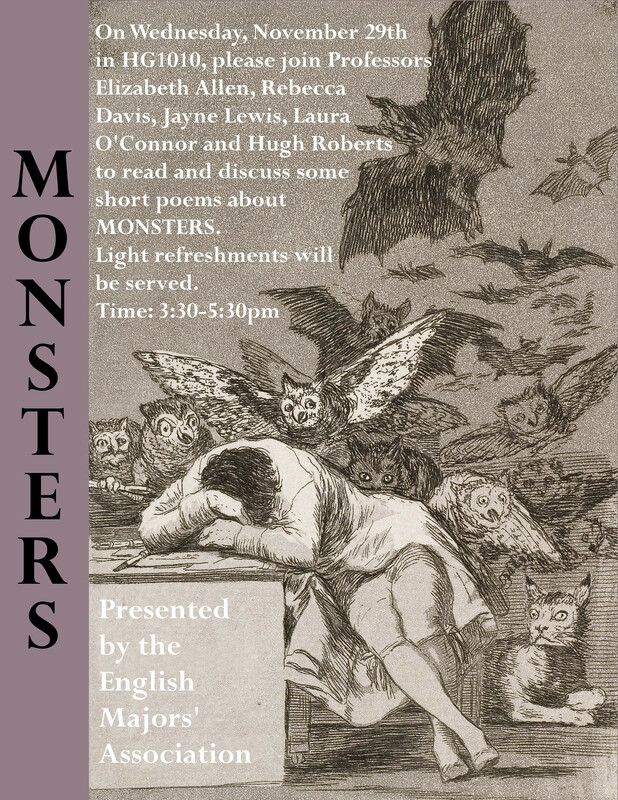 Refreshments will be provided! 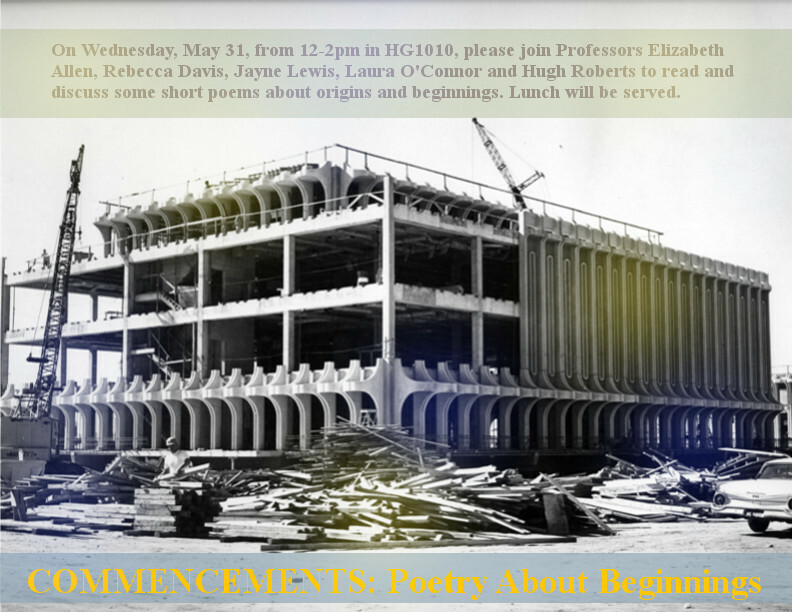 All undergraduate students are invited to join Professors Elizabeth Allen, Rebecca Davis, Jayne Lewis, Laura O’Connor and Hugh Roberts to read and discuss some short poems on the subject of “beginnings.” You can download the poems at this link, but the poems are short and everyone will be able to participate fully whether or not they’ve read the material beforehand. Lunch will be provided. Feel free to bring friends. Alumni and recent admits welcome! 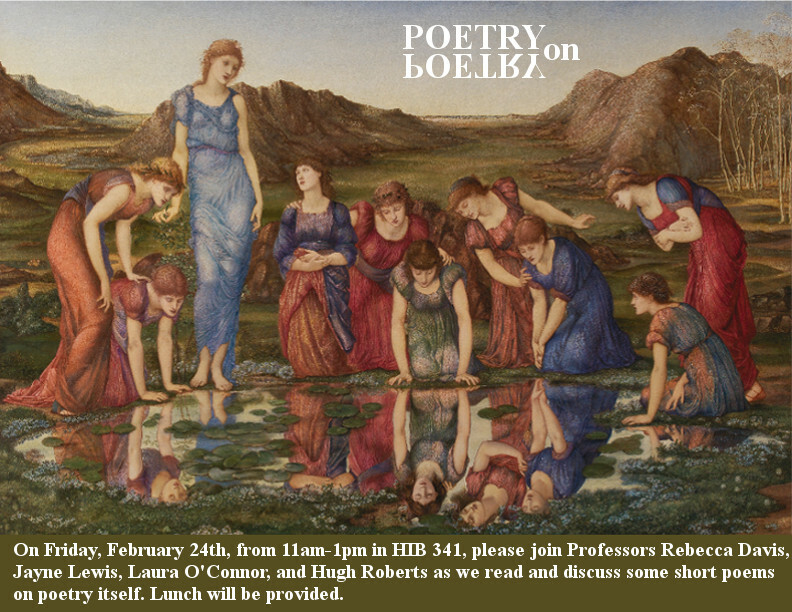 All undergraduate students are invited to join Professors Rebecca Davis, Jayne Lewis, Laura O’Connor and Hugh Roberts to read and discuss some short poems on the subject of food and eating. You can download the poems at this link, but the poems are short and everyone will be able to participate fully whether or not they’ve read the material beforehand. Lunch will be provided. Feel free to bring friends. Alumni and recent admits welcome! 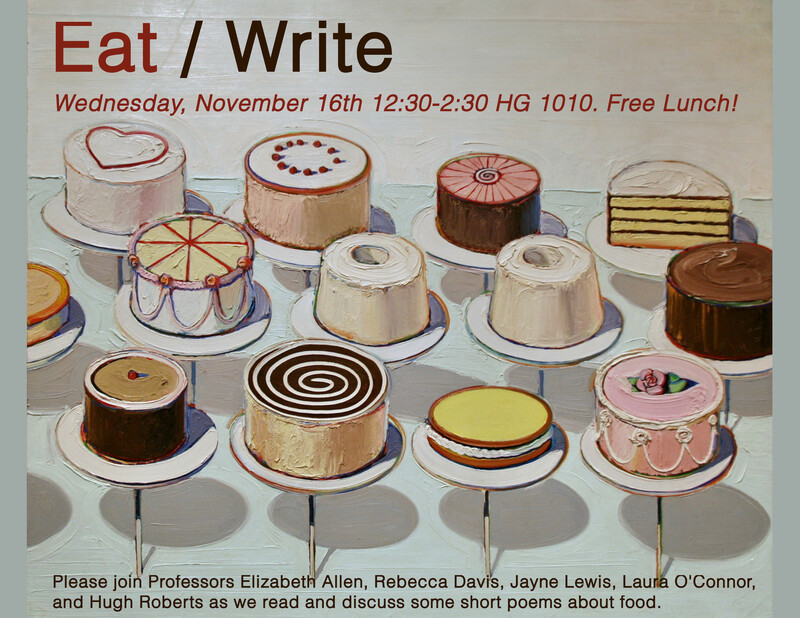 All undergraduate students are invited to join Professors Elizabeth Allen, Rebecca Davis, Jayne Lewis, Laura O’Connor and Hugh Roberts to read and discuss some short poems on the subject of food and eating. You can download the poems at this link , but the poems are short and everyone will be able to participate fully whether or not they’ve read the material beforehand. Lunch will be provided. Feel free to bring friends. Alumni and recent admits welcome! 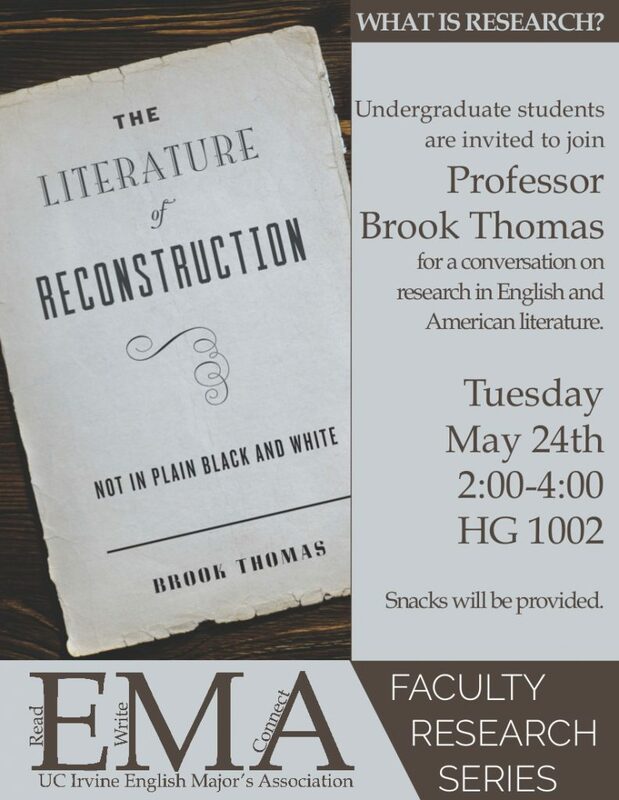 All English and Literary Journalism undergraduate students are invited to join Professor Brook Thomas in a discussion about the nature of academic research in English with particular reference to his research for his upcoming book on the literature of Reconstruction. 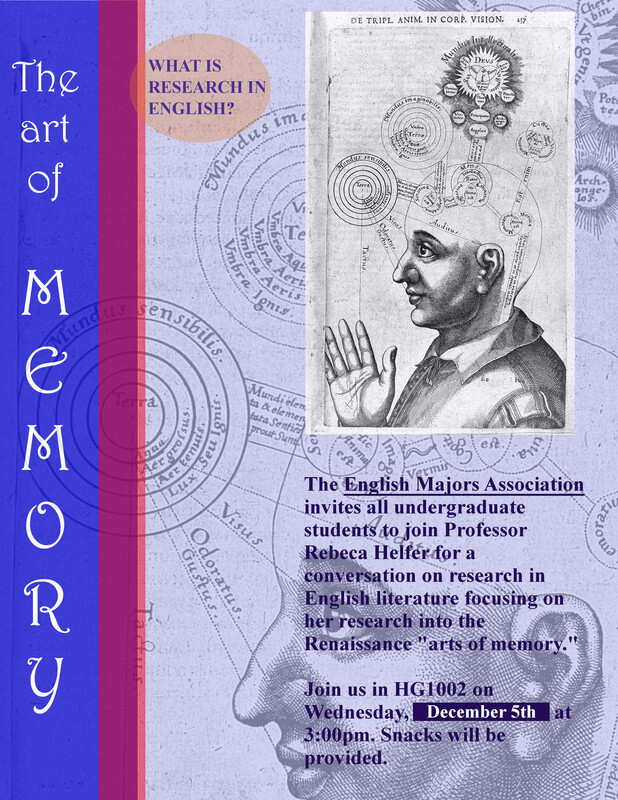 Tuesday, 2:00-4:00pm , May 24th in HG 1002. 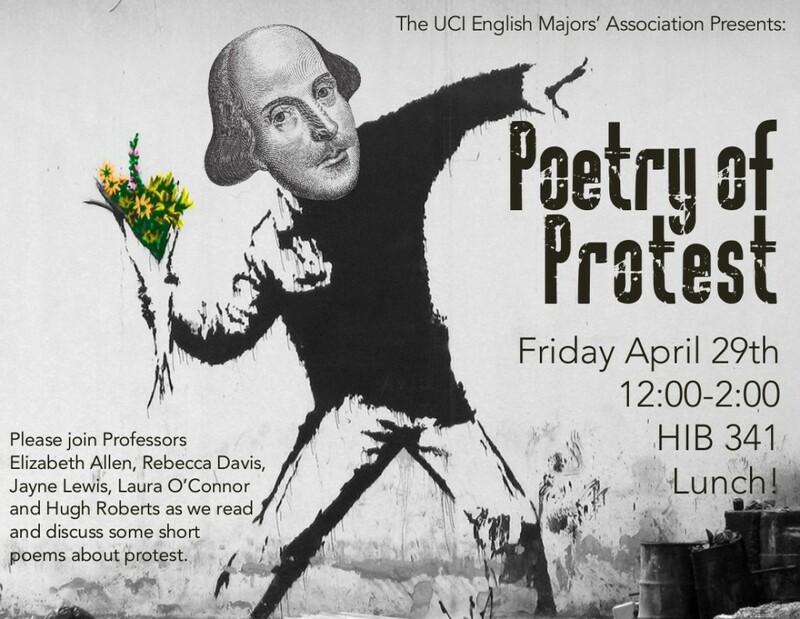 All undergraduate students are invited to join Professors Elizabeth Allen, Rebecca Davis, Jayne Lewis, Laura O’Connor and Hugh Roberts to read and discuss some short poems and songs of protest and defiance. You can download the poems at this link , but the poems are short and everyone will be able to participate fully whether or not they’ve read the material beforehand. Lunch will be provided. Feel free to bring friends. Alumni and recent admits welcome!